As your remodel, addition, or new building undergoes construction, it’s important to look beyond the first steps of the process and plan for the final stages. Your wall finishings, for example, will do much to highlight the detail and quality of your building’s interior surfaces. The material and style of finish you decide on will depend on the floor plan, budget, environmental demands, and local regulations concerning your facility. It’s important to find the right drywall company in order to achieve the best outcome for your building, and AZ Drywall Finishing is here to help. 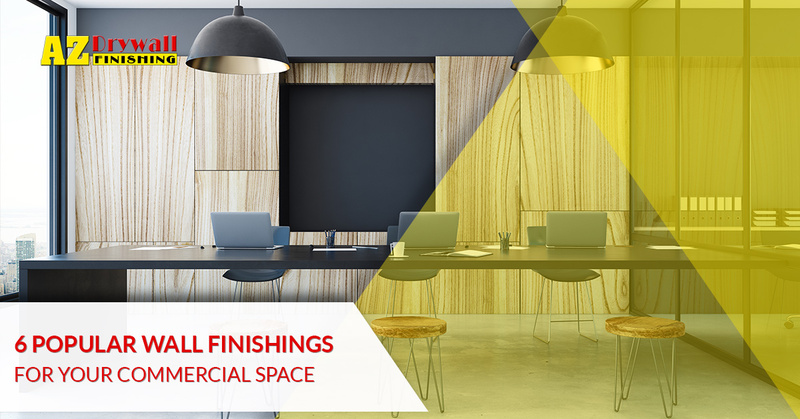 Our drywall contractors specialize in wall finishing services in Chicago, and we’ll be happy to provide a luxurious result for your office. Today, we’ll discuss a few of the most common wall finishings, as well as the value of our painting services. Ready to get started? Give us a call! Who hasn’t been affected by the popularity and versatility of wallpaper? This old-school method of wall finishing has been around since the dawn of the 18th Century, delivering an affordable and effective way to cover blank walls for a quality result. It’s important to remember that wallpaper comes in a variety of materials to best suit each room in the house (waterproof paper in the bathroom, for example). Home and business owners are often excited to learn that wallpaper has evolved to become more versatile than ever. You can choose from 3D options, photo prints, and woven fabrics to find a unique fit for your property. Despite its advancements, wallpaper does have its drawbacks. Many builders rely on wall finishing services to create protective surfaces that perform for years to come. Heavy use and exposure to moisture can disrupt the aesthetics of your wall coverings. Additionally, this medium often requires replacement to stay up to date, requiring you to add multiple surfaces to your walls over the years. Decorative plaster has become a great material for creating original looks within a room. This wall stucco comes in a variety of materials and styles, and may prove to be an ideal way to enhance the aesthetics of your space. Plaster is advantageous because it can deliver a customized pattern and texture, allowing professionals to deliver luxurious finishes in a variety of applications. One thing to remember about plaster is that it can be challenging to apply. If you’re ready to outfit your building with lime plaster, then be sure to reach out to your trusted drywall finishers for assistance. AZ Drywall Finishing has the experience and training to create beautiful results with our stucco services, and will help you achieve a customized look. Thin concrete veneers are making an impact in today’s building industry, as homeowners and property managers aim to create high-quality visuals for their property in a versatile and affordable manner. Veneers come in all materials and sizes, and can enhance the look of your design without implementing major changes. Customers can also rely on brick, tile, and stone veneers for a luxurious outcome. Veneers are thin and adhere to the subsurface to create the illusion of stonework or masonry, similar to the veneers used for teeth. Veneers may be an ideal way to cover your building’s walls. You can adhere a quality cover wood, laminate, tile, concrete, and more. One beautiful way to outfit your building with quality protection is to invest in sturdy wall finishings such as tile. This material is popular for floors and countertops, but can now be installed on the walls to make a fashionable statement. 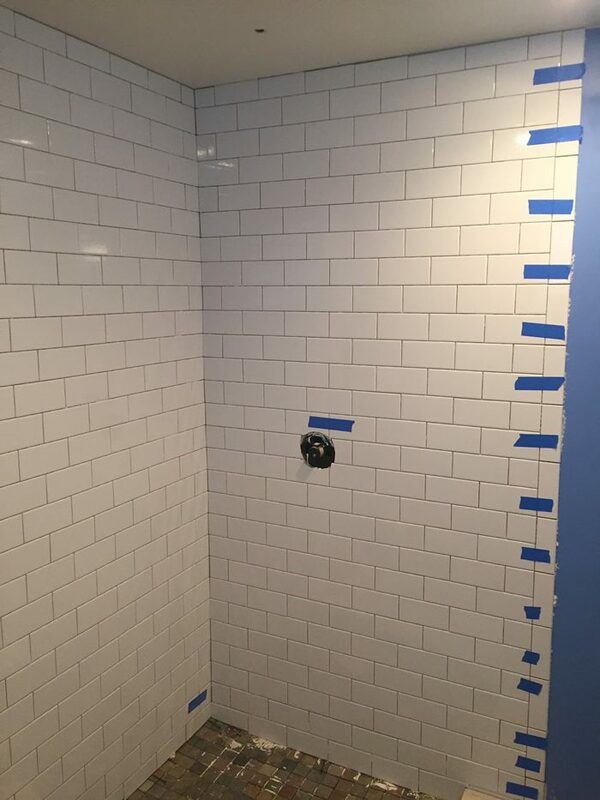 Tile on the walls can provide ideal support from moisture, making it an ideal application for bathrooms and kitchens. Restaurants, hotels, and other establishments can deploy high-class tile surfaces to keep their walls safe and their customers comfortable. As beautiful as tile is, it may not be the most affordable wall covering. Modern tile comes in a variety of materials, so be sure you find the right fit for your business and your budget. If you’re ready to get started on this endeavor, then contact our drywall contractors to see how affordable our services can be! One popular choice for commercial properties is to invest in PVC wall panels for durable, affordable results. Wall cladding can come in a variety of designs and patterns, allowing drywall finishers and DIYers to create amazing outcomes for nearly every industry application. If one panel is damaged, it can be easily replaced to restore the integrity of your surfaces. While PVC is the most popular material choice, you can also choose from glass, medium-density fiberboard, vinyl, natural wood, and more. You can choose a design type for your wall panels as well, relying on sheets, tiles, or racked panels to encase your walls in quality. One tried and true method of creating a professional environment for your business is to invest in painting services through your commercial drywall company. Companies across the Windy City can achieve a nearly unlimited number of finishes through this method, as painting services have evolved to provide millions of colors and texture combinations. Your professional painters will also be able to deploy a range of tools and equipment to further personalize the outcome for your building. AZ Drywall Finishing proudly provides the best wall finishing services across Chicago, and our team specializes in painting for nearly every industry. We understand what it takes to create a perfect result, and will work diligently to complete your project in a safe and affordable manner. Ready to get started? Contact us today to learn more about our top-notch drywall services, and be sure to request a wall finishing quote for your Chicago business!